Vijay Vasanth, MD, Vasanth & Co, talks about balancing work and acting, his travel escapades and love for CSK. Established by his father H Vasanthakumar in 1978, Vasanth & Co has over 67 stores today, across Tamil Nadu, Puducherry, Andhra Pradesh, Kerala and Bengaluru. A turnover of above Rs 1,000 crore in 2016, this chain of consumer electronics and home appliances is a household name in almost all middle-class families in the state. Describe your school and college life. Where you the prankster of the class or the studious one? Until Class 10, I was a very quiet student and used to sit in the first bench, not that I used to score 100 or something, but I managed to pass. It was only in Class 11 that I became actively involved in sports and cultural activities. I took part in school culturals only for one reason — to cut classes (laughs). Then, when I went to college I was more into sports - cricket mostly. And after a point I had to choose between the ground and Ispahani Centre (the mall). Naturally, I chose Ispahani (laughs). We never got pocket money every day. So 10 of us friends used to go and have two burgers from Coffee Day. 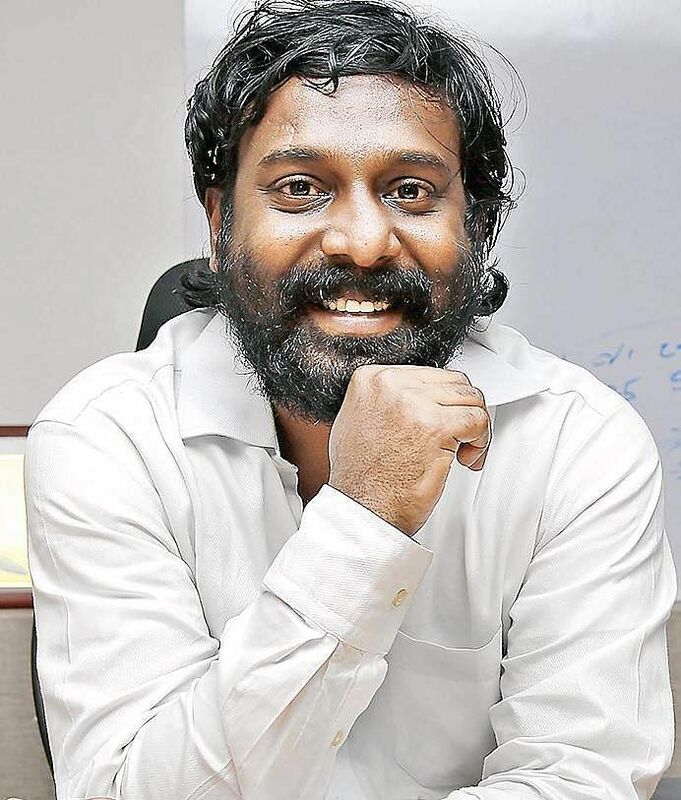 You debuted into Kollywood with Venkat Prabhu’s Chennai 600028 in 2007 and did more films like Nadodigal, Nanban, Chennai 600028 II and many more. Tell us about your experience. Did you ever think of becoming an actor? I am friends with Shiva from Radio Mirchi and through him, I got to know Yuvan — so we used to meet often at his studios. That’s how I got an opportunity to act. I would go to the theatre, watch a film and pass comments on many things, but never imagined that I will be there on screen. When I was told about the role, I wasn’t even sure if I could act. But directors like Venkat Prabhu and Samudrakani who taught me and made me believe that I could act as well. In the office, you’re the boss — you can come at any time and leave any time. But there on the set, it was so different. I tried to keep a low profile and learn every day. I have no background in film, but fortunately for me it clicked and so I am balancing both now. Having travelled extensively, is there any country on your bucket list that you want to visit? I love going on long drives and travelling. The best thing about our industry is that we have the incentive. When you achieve the target, we are taken to various parts of the world. So that was a boon for me. One place that’s on my bucket list will be Argentina and also a road trip to Ladakh. However, after marriage, the amount of travelling has slowed down, because now that I have a family, I have more responsibilities. In both real and reel life, you have been associated with cricket, be it playing in the movie or playing in college. How close is the game to you and what are your thoughts on IPL? I love cricket and used to play regularly till I was in college and then when Chennai 600028 happened, I got to play for a year. But apart from that, I watch the sport regularly. I am a huge CSK fan and am so happy to see the come-back. I couldn’t bear to see Dhoni playing in a purple jersey. CSK ku whistle podu (smiles) . I love gadgets. I always try and keep myself updated and get the latest gadgets as and when they are out. I have four to five power banks, air purifiers, apple products, etc. I also have this OCD, wherein if there is a software update notification, I need to get it updated then and there. I love the PS4 as well. I used to play so often, now because I don’t get much time I have just reduced the hours of playing. What kind of music do you generally enjoy? Is there a particular song that you love? I love listening to AR Rahman and Ilaiyaraaja sir’s music. But nowadays, I don’t really have much of a choice as my children want to listen to all the latest songs (smiles) and I join them. A song that I could listen to on loop all day would definitely be Ilaiyaraaja’s Thendral vandhu theendum pothu from the film, Avatharam (1995).